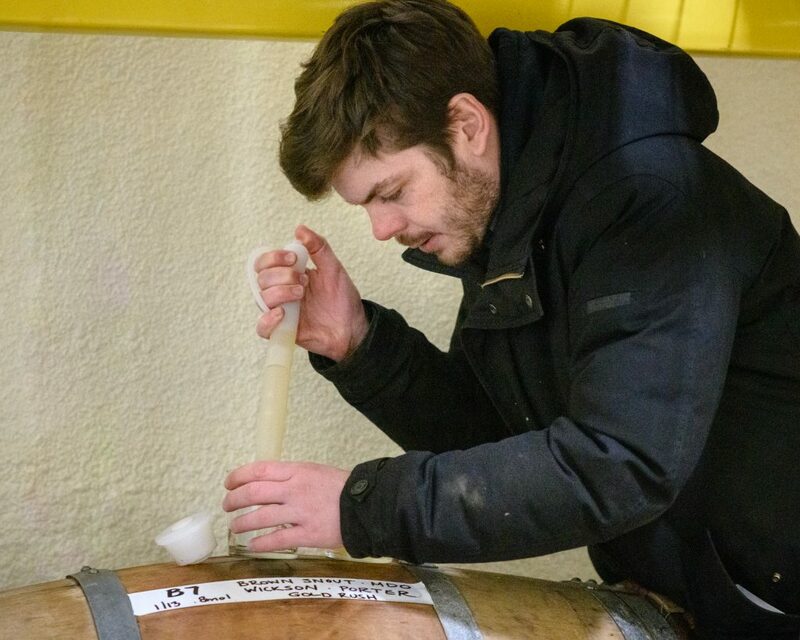 I first met Josh Morgenthau in New York City, during the New York City Cider Week celebration. 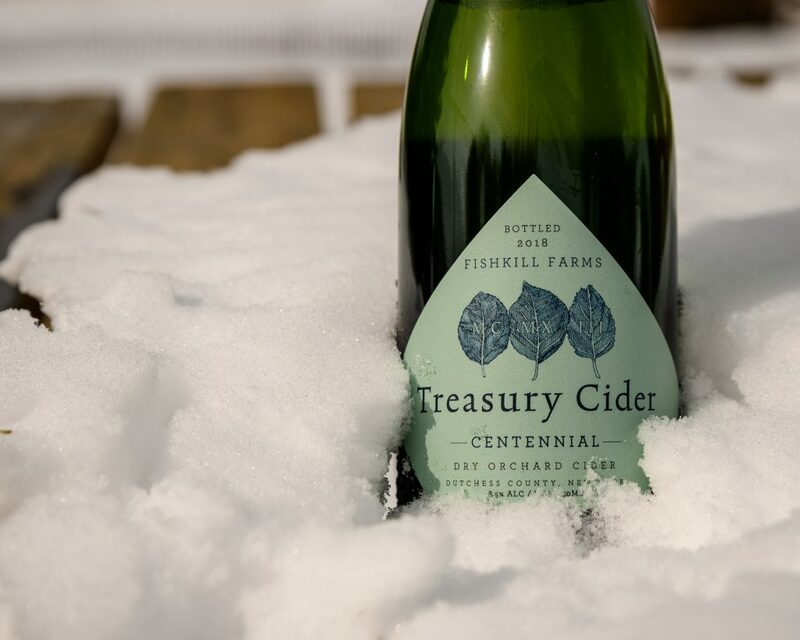 Something clicked right away, with the first sip of Treasury Cider. It was passion. Apples don’t leave a lot to hide behind. There isn’t a lot of alcohol or heavy tannin. There isn’t an overabundance of fruit. This is why there is so much cloyingly sweet cider out there – it is a mask. Don’t get me wrong, I love sweet and semi-sweet cider and wine. However, they must have complexity, depth and fruit to balance the sweetness. The cider I tasted from Treasury, Counterpane, was an excellent example. Made from a blend of cider apples with the wonderful Porter’s Perfection and Brown Snout leading the way, it had both body and fruit to match. Even back then, in November, we already discussed a visit, and though the winter is not the most “picturesque” season in the orchard, I was looking forward to a nice drive to the Hudson Valley. Fishkill Farms has a long history in Hudson Valley, founded by Henry Morgenthau in 1913. Its orchards, on the hills of the valley, are a picturesque mix of old and young trees, with the ancient apple trees just steps away from the young, densely planted and trellised dwarf and semi-dwarf varieties. 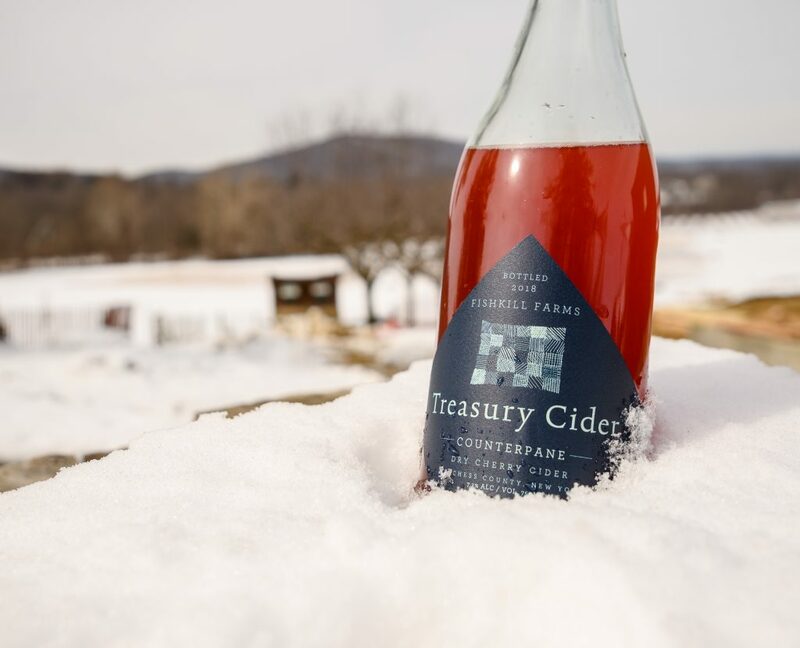 Fishkill Farms Cider is named “Treasury” as an homage to Henry Morgenthau Jr., who served as Secretary of the Treasury under FDR. 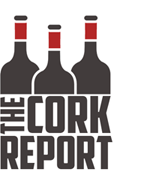 We tasted through the lineup, including some recent releases, together with Stacy. My top three were the Burr Knot, the Centennial and the Counterpane (the 2018 uses cherry as well as apple). The “Burr Knot” is the most “geeky” of the three, with a nose of donut peach, bright and ripe, tannic acidic mid-palate that broadens toward she back showing a nuttier, riper side. The finish is moderately long with green almond and zest.